The purpose of the Club is to encourage the preservation, restoration and exhibition of antique, classic and special interest vehicles, through fellowship, camaraderie and education. The Sherwood Cruisers Car Club is a not-for-profit organization. 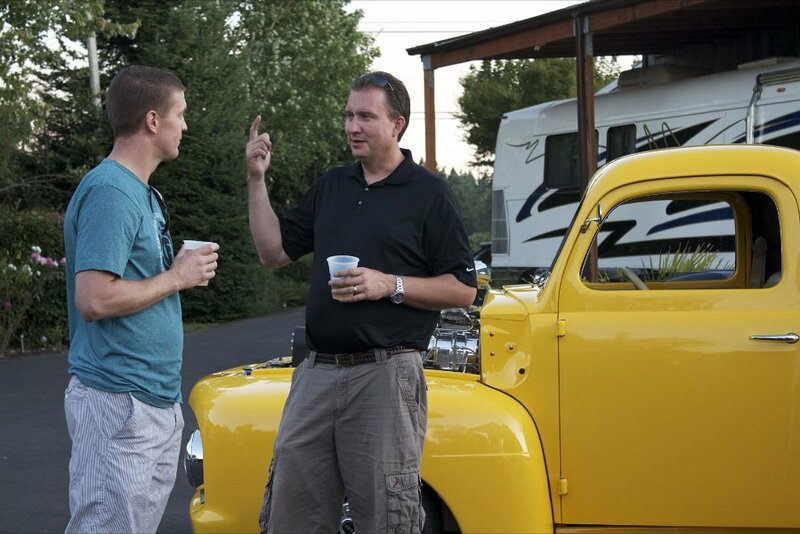 The Sherwood Cruisers Car Club is about having fun while working and playing together. Whether it's our monthly meetings, Tech Nights, cruises or sharing a meal together, you'll fit right in and feel welcome. As any car enthusiast knows, keeping a classic or customized car, truck or bike in top notch working order takes effort and dedication. The Sherwood Cruisers provide a community where members help each other with information and expertise. We have fun recreational activities, and support the local community through various fundraising activities. Members are expected to participate whenever possible in club activities that raise money to support the club and member approved charitable donations. We also have a scholarship program offered to High School seniors planning to pursue a degree in Music Arts, Automotive Technology, Automotive Engineering and/or Industrial Technology. Find out more and apply here. It symbolizes team work; it takes more than one piston to make the motor work. It takes a team to perform our civic obligations and the charitable functions that we do. It is a symbol that is associated with Sherwood, but it also shows dedication, protection and insurance. When a goose falls out of formation (either wounded or sick), two other geese will fall out of formation with it and follow it down to lend help and protection. They will stay with the fallen goose until it is either able to fly or until it dies. This symbolizes teamwork, both with fellow enthusiasts, club members and community. We are here to lend a hand on all fronts. The Steering Wheel and Classic "V"
This comes back to the geese flying in formation. When we as Sherwood Cruisers go to an event, we "fly as a flock". Meeting in a central location and cruising together to the destination.